High-speed two-phase marketing partnership program developed by the specialists of the company; the program has no analogues in the world. Unique as regards its functionality and ease of handling, it is created to help those who wish to promote company’s products on the global market and receive compensation from the company for advertising and recruitment of new customers. Payment in the form of euro bonuses can be used to buy a car or an apartment. Affiliate marketing program combines two phases of marketing, which are put to work simultaneously. Preliminary tier is designed for helping Buyers’ orders move to the main tier. Main tier is designed for earning euro bonuses, covering Buyers’ orders (car) and, optionally, for moving on to VIP order tier. VIP tier is designed for earning euro bonuses, covering Buyers’ orders (apartment). Orders for which €690 have been paid, get placed on the preliminary tier. Orders for which €2080 have been paid, get placed on the main tier. Orders for which €12080 have been paid, get placed both on main and VIP tiers simultaneously. (€10000 for VIP and €2080 for main tier). Preliminary tier consists of three levels, where 7 buyers’ orders are placed. The levels are arranged from top to bottom. Customer orders are arranged from left to right, taking into account the recommendations made. Placing an order on a tier takes place after the payment has been completed and when the contract for the purchase of a flat or a car has been signed and activated. All incoming customer orders are placed on the first level. Once the first level of the tier is full, the tier gets divided into two symmetrical order tiers. Buyer’s order goes to the second level. 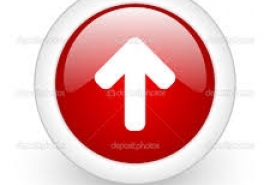 At the first level of the two new tiers 4 free places for new customers emerge. As soon as the first level in which Buyer’s order and 4 new orders are placed is full, Buyer’s order advances to the second level and gets divided into two symmetrical tiers again. When the first level gets filled with 4 orders again, Buyer’s order advances to the third level. - From the main tier to the first level of the main tier which follows his/her superior. - If a Buyer so wishes, after an order passes the main tier, and after the qualification is confirmed, the order might enter VIP tier. After VIP tier is passed, euro bonuses are granted. Preliminary tier is designed for facilitating moving orders to the main tier. Orders of the followers are places on a tier under the leader. If there is no leader on the preliminary tier Buyer implements the order and indicates the ID of the Buyer with whom he/ she would like to cooperate on the preliminary tier. As soon as the third level of preliminary tier gets filled, Buyer’s order follows the superior and goes to the first level of the main tier. To pass the preliminary tier, a partner has to refer to the company at least two direct buyers. When the order completes the preliminary tier, Buyer receives 2000 euro bonuses for his order to get to the main tier. 2 direct buyers must be qualified before the rewarding. If an order is not qualified as required on the preliminary tier, 610 euro bonuses are allocated to it, while the remaining 1390 are given by the Company as a loan, after which the order enters the main tier. When the main tier is completed, and qualification requirements met, the Company retains 1390 euro bonuses from the reward amount. The holder of the order might refer newer orders to both main and VIP tiers. These orders later will be taken into account when Buyer is passing the main and the VIP tiers after their reinvestment. Main tier consists of three levels, where 7 buyers’ orders are placed. The levels are arranged from top to bottom. Customer orders are arranged from left to right, taking into account the recommendations made. Placing an order on a tier takes place after the payment has been completed and when the contract for the purchase of a flat or a car has been signed. For passing the main tier, a partner has to refer to the company’s given order tier at least two direct orders or orders which were directly referred after reinvestment. They should enter the tier following that of the partner who precedes them, and before this partner completes the tier. If at least 2 direct buyers must be qualified. If these conditions are met, 6160 euro bonuses are allocated to the Buyer’s order at the end of the cycle. Company reinvests 2000 euro bonuses in the new main tier. The order will be placed on the preceding partner’s tier. 4160 Euro bonuses can be taken in cash, or added to the amount needed to buy a car the partner chooses from the company. At Buyer’s wish, when the order completes the main tier, and if qualification requirements are met, the order may move to the VIP tier. In such case, 2000 euro bonuses are automatically reinvested in the main tier, and the Buyer, if wishes, transfers 10000 euro bonuses for placement on the VIP tier. When a tier is completed without qualification, 2000 euro bonuses are reinvested in the new main tier, following the preceding partner. Entering VIP tier is possible when 10000 euro bonuses are accumulated on the account. When a tier is completed without qualification, penalty is not retained. Beside 6160 euro bonuses every partner who completes the main tier with qualification receives a coupon for free 2 days accommodation in a standard townhouse of a «NEW DAY» hotel in Cyprus. The coupon is individual (cannot be given to another person) and cumulative (if the partner completes 2 tiers he gets 4 days coupon). The coupon is valid for 6 months. VIP tier consists of 4 levels, where 15 buyers’ orders are placed. The levels are arranged from top to bottom. Customer orders are arranged from left to right, taking into account the recommendations made. When purchasing an order placement on VIP tier, the buyer pays the entrance both to the main and to the VIP tier – €12080. Mandatory condition for entering the VIP tier (€10 000) is placing the order on the main tier too, which costs €2080. When VIP tier is completed, the holder of the order must have at least two new orders following his one, or such orders which followed his one after reinvestment. It does not matter on which VIP tier these two orders are, but they have to enter the tier before the buyer enters level 4. If this condition is met, then at the end of the cycle buyer’s account is credited 60 000 euro bonuses. The partner can take the accrued euro bonuses in cash, or he may buy a car or an apartment. In these cases, a euro bonus equals to 1 euro. When exiting VIP tier with unconfirmed qualification, buyer's order (the key for automatic reinvestment pressed) gets moved to the first level of the VIP tier, its position after the superior partner. If you uncheck the button "reinvestment VIP», buyer’s order is canceled, and the buyer continues to work on the main tier. After completing the next main tier, the order may be placed on the VIP tier again. The number of orders from one customer on the VIP tier is indefinite. When an order qualifies for reward but there is no qualification, reinvestment to the VIP tier takes place automatically. In this case, the buyer has the right to refuse going through VIP tier, having sent an advance notice to the company (when entering level 4 of the tier). Then the Partner’s Personal Account will be credited the original contribution of 10 000 euro bonuses. If the order is taken out from the business program the leader loses qualification which will not be taken into account in further exiting. 10 % fee is charged when euro bonuses are cashed out in euro. There is no fee if euro bonuses are used to buy a flat or a car from the company. Withdrawal period is 17 days. After exiting the 6th main tier or the 3rd VIP tier it is mandatory to buy a car or a flat from the company. 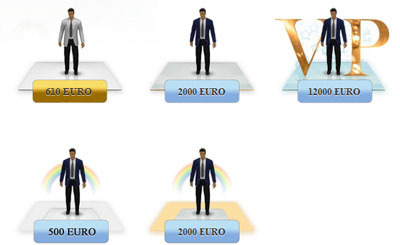 SUPER VIP tier is designed for gaining 125 000 euro bonuses and consists of 3 levels, where 7 buyers’ orders are placed. SUPER VIP tier is available for those who successfully passed VIP tier. Customer orders are placed on the first level whereas 2 other levels are occupied. Once the first level of SUPER VIP tier is full, the tier gets divided into two symmetrical order tiers. As soon as the first level in which Buyer’s order and 4 new orders are placed is full, Buyer’s order advances to the third level. When the tier gets divided again Buyer’s order goes to the rewarding stage with 125 000 bonuses that can be used to buy a 120 m2 townhouse and «Nissan Mikra» сar from the company. Buyer’s order automatically goes to the second cycle. 125 000 euro bonuses are gained every time the cycle is completed. Buyer can choose services that he/ she wants to order, confirms it and pays for it. The discount coupon costs €240 (€ 5 –administration fee). The payment is made through a bank transfer to ND Holding LTD bank account. One coupon provides 235 euro bonuses to the Buyer’s back office and enables participation in a «New Day» marketing program. 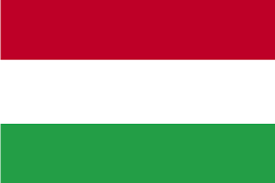 Euro bonus is an internal payment instrument that equals the amount spent to buy a 20 % discount coupon for car rental from BP Group Kft, Hungary, Budapest, “NEW DAY” auto showroom or from partners’ auto showrooms (partners can be found here www.nday.eu/?lang=ru&page=partners). Euro bonuses gained from a coupon can be used only to join «New Day» marketing program. It cannot be cashed out or given to another person. 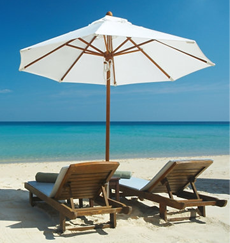 Every buyer can purchase unlimited quantity of coupons, every purchasing leads to replenishment of the back office. Euro bonuses can be used to buy a car. Having accumulated 2000 euro bonuses a customer gets an opportunity to rent «Nissan note» for 14 days from a « New Day ». Accumulation of euro bonds can happen while exiting Blitz tier. Money withdrawal is possible only if there is an order on a Preliminary or on the Main tier. In personal account settings Buyer indicates the name of the future owner of the coupon. Once it is saved, it cannot be changed. Having set the order, Buyer goes to a chosen Blitz tier strictly under his/her leader. If there is no such a superior Buyer takes the place right under the first one who has higher rank. Customer orders are arranged from left to right. Two qualifications are needed to be done before the order exit the tier. Blitz tier is designed for gaining 690 euro bonuses and consists of 3 levels, where 7 buyers’ orders are placed. Customer orders are placed on the first level whereas the 2nd and the 3rd levels remain occupied. The levels are arranged from top to bottom. Customer orders are arranged from left to right. Once the first level of the tier is full, the tier gets divided into two symmetrical order tiers and Buyer’s order goes to the second level. As soon as the first level is full again, Buyer’s order advances to the third level. When the first tier gets full for the third time and the qualification requirements are met Buyer’s order goes to the rewarding stage with 500 euro bonuses revenue. In case a Partner has not joined the “New Day” program yet, his/her order is automatically moved to a Preliminary tier. In such case 610 euro bonuses are paid to place an order to Preliminary tier (without 80 euro bonuses as a commission). A Partner can withdraw the money and continue to place orders on the Blitz tier only if he/she is taking part in “New Day” marketing program and has an order placed on the Preliminary or main tier. Qualification: 2 direct invited partners, including partners who entered a tier after reinvestment and before a reward period: 2 direct orders for all Blitz tiers. As the key “Reinvestment” is deactivated and subsequent orders of the Partner are placed on the Blitz tier previous qualifications disappear and the Partner must get 2 qualifications again. Every new individual place on a blitz tier provides qualification. Every duplicate is placed under the original order if it does not have qualification. While exiting a Blitz tier a Partner who has orders on a Preliminary or a Main tier without qualification loses those places automatically. In case of exiting a Blitz tier without qualification and if there are no orders on a Preliminary or a Main tier the place automatically moves to the 3rd level of a new Blitz tier. The 2nd and the 3rd levels remain free. Orders of the followers are places on a tier under the inviting leader. If there is no leader on the Blitz tier orders are placed under the superior Partner. Partners who take part in the marketing program “New Day” can join Blitz tier as well. Coupon for a blitz tier can be purchased in both ways: by euro bonuses or by money transfer to the company euro account. In case there is no activity on main or preliminary tiers for 30 days, a button “Compensation Tier” appears in the back office of all partners. Compensation tier activates when the first order is placed. After activation any participant of the compensation tier can place orders. Compensation tier appears in the back office of all participants of the given platform, becoming active only if two direct partners register and pay. In this case, the partner (organizer of the platform) moves to the tier 3 (which is the last one before reward) and the partners he invited move to the 2nd and 3rd tier respectively. 4 top positions remain free. The partner who organizes the given compensation platform, shall not pay for his position repeatedly; his/her ID number is stored. On this platform, the qualification is obtained by two directly invited partners prior arriving at the reward. When all 6 free positions on the first tier are filled by partners the "clone" partner, who founded the platform, leaves. Euro bonuses are credited to his personal account, while he continues to work and participate in the "New Day" his orders are remaining on the former tier. Main compensation tier is designed for gaining 4160 euro bonuses and consists of 3 levels, where 7 buyers’ orders are placed. Upon activation of the key “Compensation Tier”, compensation tier will appear in the back office of subsequently invited Partners. 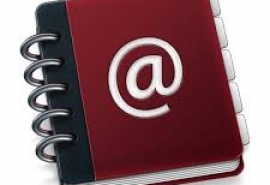 This platform appears in the back office of all participants of the given platform, becoming active only if two direct partners register and pay. In this case, the partner (organizer of the platform) moves to the tier 3 (which is the last one before reward) and the partners he invited move to the 2nd place of the 2nd tier respectively. 5 top positions remain free. The partner who organizes the given compensation platform, shall not pay for his position repeatedly; his/her ID number is stored. On this platform, the qualification is obtained by two directly invited partners prior arriving at the reward. When all 5 free positions on the first tier are filled by partners the "clone" partner, who founded the platform, leaves. 4160 euro bonuses are credited to his personal account, while he continues to work and participate in the "New Day" his orders remaining on the former position on the main platform. The next compensation platform goes divided. Orders which were at tier 2 move to tier 3, while those on the tier 1 to tier 2 respectively, to the 2nd and 3rd positions. On the tier 1, 4 order positions get created. When these are filled with orders, the order on tier 3 arrives at the reward, then moving to the main platform right behind the leader. The positions still free on the order platform get occupied from the top to the bottom and from the left to the right. Further participants who arrive from this type of platform are credited 6160 euro bonuses. Out of these 2,000 euro bonuses are reinvested upon the transition to the main platform, while 4160 euro bonuses remain on the partner’ personal account. 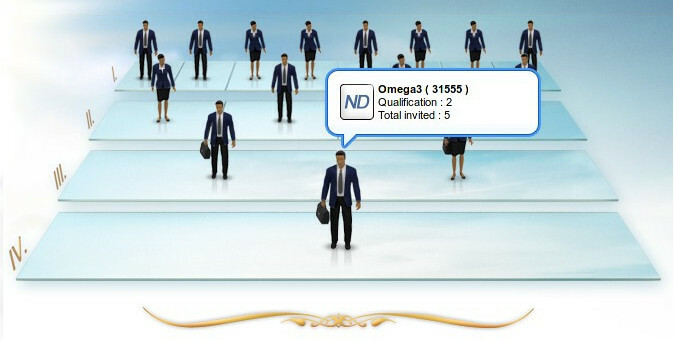 The order of the partner who left the compensation platform moves to the main platform, and continues to participate in the program "New Day." When subordinate order is placed on the given tier leaders gain units and rewards through the program “New Day”. When a partner leaves the compensation platform but there is still no activity on the main platform, he/she may again organize a compensation platform provided there are two personally invited customers. A partner may be involved in organizing only a single platform in the same period. The mechanism of passing the preliminary platform is the same as for the compensation one. When leaving, the organizer of the platform receives 1380 euro bonuses in the form of two coupons. All subsequent partner orders are also credited 930 euro bonuses at the exit, of which 690 are reinvested into the preliminary platform, while the other 240 euro bonuses are credited to the personal account of the partner, in the form of coupons. Having passed preliminary compensation tier to enter the main tier the orders must go through a preliminary tier. When a partner is invited to the "New Day" program, he chooses a platform for order management; compensation platform is not mandatory. When preliminary compensation tiers get divided into two ordinary tiers a Partner continues to take part in the program. If verification and validation requirements are not met, partners who place orders on Compensation tiers move to their superiors only if the leader has two direct invitee on the given tier. If a leader has no qualification, a Partner exits a Compensation tier and follows any superior who has 2 qualifications and confirmed validation and moves to an active tier of the leader . In this case a Partner provides qualification only to his/her superior leader by whom the Partner was invited. Partner can place only one order on a Preliminary or the Main tier. If the order is taken out from the business program the leader loses qualification which will not be taken into account in further exiting. When an order completes a tier without qualification three consecutive times, it is taken out. The euro bonus amount with which the partner entered the project is returned – it is credited to the Partner’s Personal Account. At the same time, the superior partner loses his referral confirmation (qualification). Partner’s leadership program also stops. He/she may resume work only on condition that he/she acquires the qualification. He/she does not get paid for the period between removing his/her order and resuming work. Leadership program runs in parallel with the program aiming at filling tiers, and functions independently, subject to personal referral of five orders. Position and bonus compensation within the leadership program depends solely on the volume you and your partners achieve, i.e. on your results, which are estimated in standard units of career growth. For one order placed, a partner gets 1 standard unit. Leadership program starts with the date of payment of the fifth personally invited partner for his/her order. Leadership program starts with the date of payment of the fifth personally invited partner for his/her order. On all levels, compensation has to be credited to your account on the 15th day from the moment when the order is placed on one of the tiers. For each new sale implemented after a personal consultation, you get a commission of the value determined in accordance with the level of your career; calculation is based on the monetary value assigned to the standard unit, which is set in the agreement. Partner’s level is 1; 1 standard unit equals to €40. For the given period, 5 units have been allocated to the partner. 5 units multiplied by €40 = €200. Partner’s commission constitutes €200. Reward for leadership is based on the difference between the estimated rate of your position and that of the partners lead directly by you, on the basis of the volume achieved by them. Partner’s level is 2; 1 standard unit equals to €55. The level of the partner downstream is 1; his standard unit equals to €40. Over the given period, totally 18 standard units were generated by this partner. 18 units are multiplied by the difference between the higher rate and that of downstream partners (€55 - €40 = €15): 18 units x €15 euro = €270. The second-level partner’s commission for leading this network will be 270 euro. The calculation above was done on the basis of a single partner at level 1. - For an order placed on any tier, superior partners earn 1 standard unit over a career. - When an order passes to each new tier, superior partners earn 1 standard unit over a career. - When an order enters the marketing program called New Day, and the car price is fully paid, 7 standard units are assigned to the partner. - When an order enters the marketing program called New Day, and the apartment price is fully paid, 41 standard units are credited to the partner. 2 Sales and cooperation with Manager and Senior Manager. 6 Participation in internet workshops for training structure leaders. It is strictly forbidden for the partners of the company to do any additional advertising without the consent of the management. If a partner violates this agreement, as well as in case of financial violations, the company has the unilateral right to terminate the contract with a partner. A buyer, having placed an order within the affiliate program, has the right to transfer it to another person, without pointing out the reasons, on the condition that he/she has paid the cost of such change to the company. The cost is calculated as 50% of the initial contribution. The company is interested in having strong and competent partners, and therefore conducts training sessions for partners, when they complete single levels. Depending on the level, different windows will open in the Partners’ Personal Accounts, displaying different tasks and programs designed to work within networks and motivation pertaining to them. Training courses are also being organised, both on locations where partners work and on distant locations, for partners who have achieved high levels of the career ladder. When a partner reaches Level 10, the company issues for him/her a certificate on training completion. For 5 direct orders placed on a tier within 30 days, the company awards a watch. For 10 direct orders placed on a tier within 30 days, the company awards a watch of a higher category. Level 4: tablet PC, decorated with a gold badge with diamonds. Level 5: a modern notebook adorned with the gold badge of the company with diamonds. Level 8: 1 kilogram of investment gold 999.9. Level 9: automobile of premium category. *Prize days are accumulative and must be used in one year period. Awards from the 6th to 10th level – Special Conditions. The sum of units from all the structures must equal at least 50% of the strongest structure. All awards and presents are given personally in hands during company seminars.